Abbot Richard Whiting of Glastonbury Abbey was one of the few heads of religious orders to put up any resistance to Henry VIII during the Dissolution of the Monasteries. Glastonbury was the last abbey left in Somerset and Whiting refused to hand it over to Henry’s agents. This was a principled stand but not one that would end well for the abbot. In September 1539 he spent his last night of liberty at his ‘favourite’ Mells, a small village in the Mendip Hills on one of the Abbey’s estates. After a show trial in Wells, Whiting, a frail and sickly man in his seventies, was dragged through Glastonbury on a hurdle and up to the top of the Tor, where he was hung, drawn and quartered. Whiting’s, and the Abbey’s, loss was the gain of one Thomas Horner, whose family were already landowners in the area. Horner bought Mells and the surrounding manor from Henry VIII in 1543. The estate remained in the possession of the Horners into the twentieth century, before passing to the Asquith family when the Horner line died out. I imagine that in the summer months Mells is thronged with day trippers but when I visited on a cold, damp December day there was hardly a soul about. 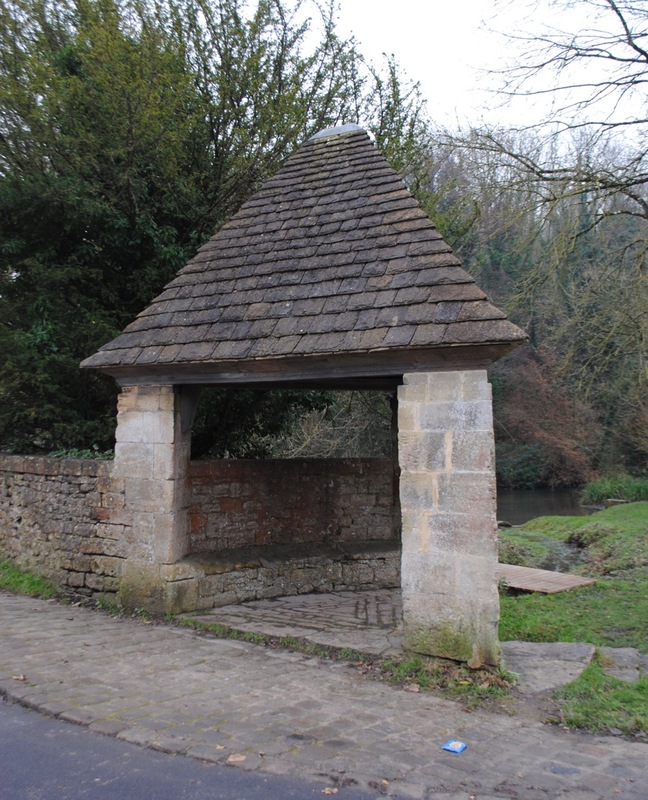 I parked near the triangular shelter designed by Sir Edward Lutyens and commissioned by Lady Frances Horner in memory of her son Mark, who died of scarlet fever in 1908 aged sixteen. Before Frances Graham married John Horner in 1883 she had many friends in London’s artistic world. The (married) artist Edward Burne-Jones nursed an unrequited passion for her. He painted her portrait and also included her likeness in several of his other paintings. When he was told of her marriage to Horner, Burne-Jones commented despairingly, ‘she has gone and married a market gardener’. 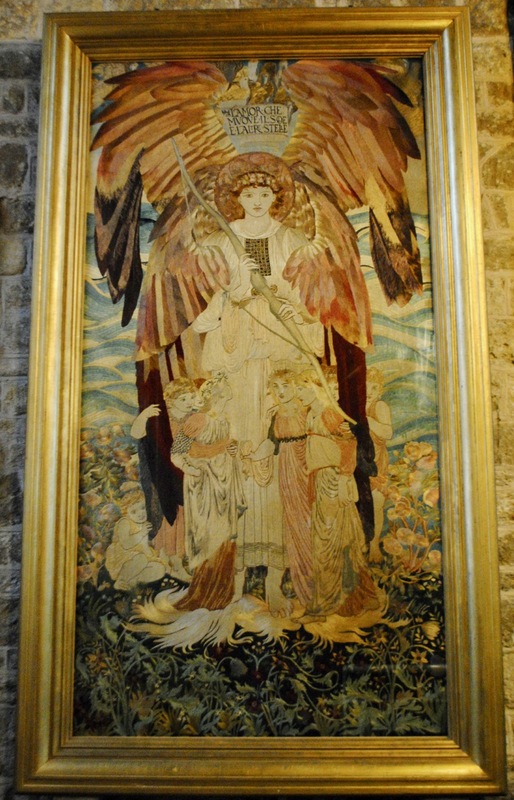 In fact, Lady Horner turned Mells into a unique artistic and intellectual haven. Her circle, and in those days every such circle had a name, was known as the Souls. 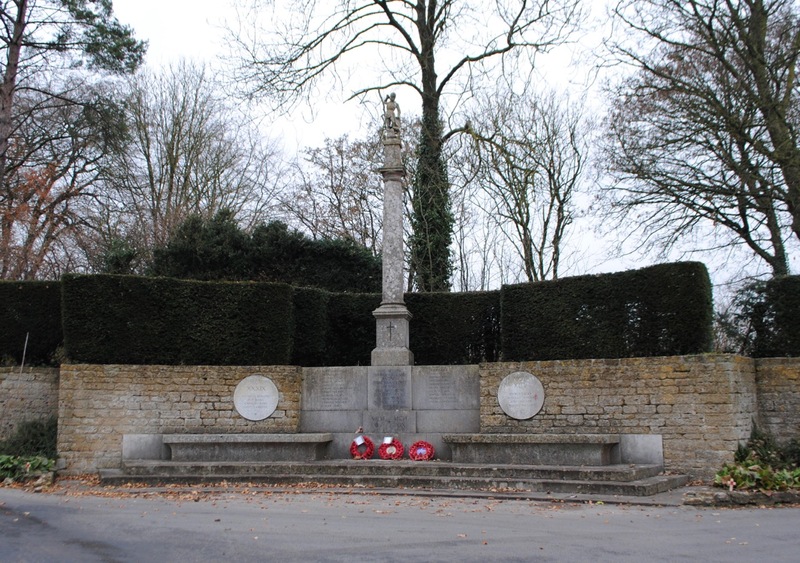 Past the village shop, half way up the high street, is another Lutyens design, the war memorial, with an inscription composed by the Poet Laureate Robert Bridges and lettering by the artist Eric Gill. Gill also sculpted the state of St George mounted on a stone column which rises above the main facade. 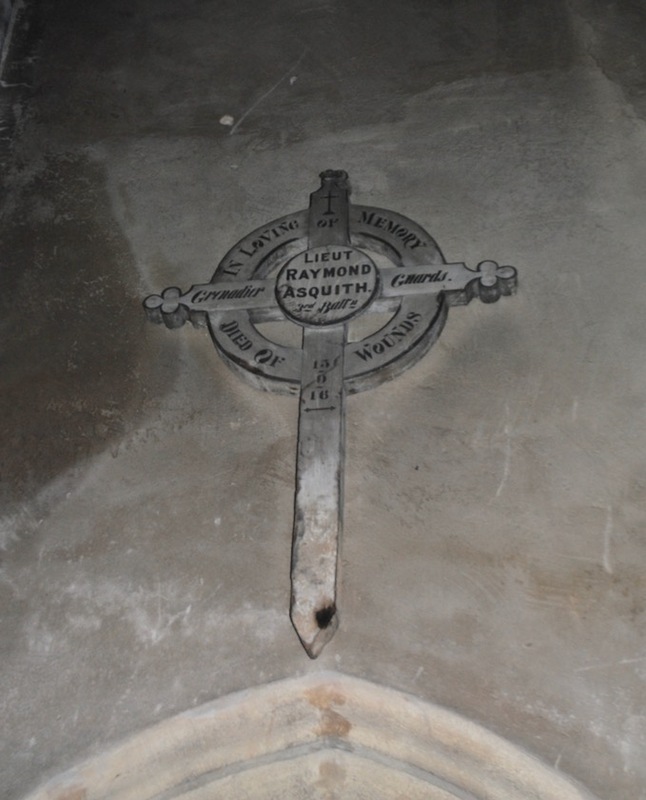 The memorial was commissioned by the Horner and Asquith families who had been joined by marriage and then by loss. Katharine Horner, the daughter of Sir John and Lady Frances, had married Raymond Asquith, son of the Prime Minster HH Asquith and his first wife Helen, in 1907. Raymond, ‘whose brilliance in boyhood and early manhood dazzles their contemporaries and becomes a legend’ according to the novelist John Buchan, was killed at Ginchy in France in 1916. Katharine’s brother Edward, the Horner’s eldest son, was killed at Cambrai a year later. This was a time when the ruling class still put its sons in the firing line when it came to wars; they had, so to speak, skin in the game. 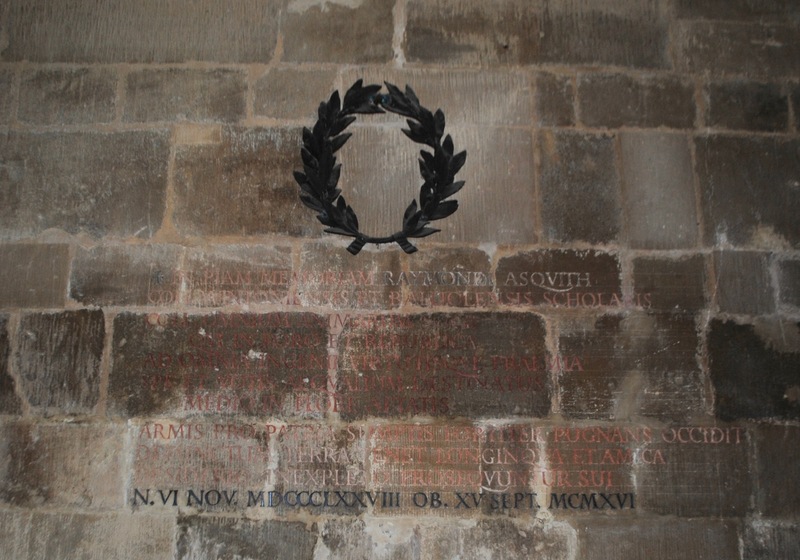 But this is more than an aristocratic memorial of course, and names everyone from Mells who gave their lives. This was a time when Mells still had its own colliery: there are miners and iron workers as well as rural tradesmen and labourers on the roll of honour. 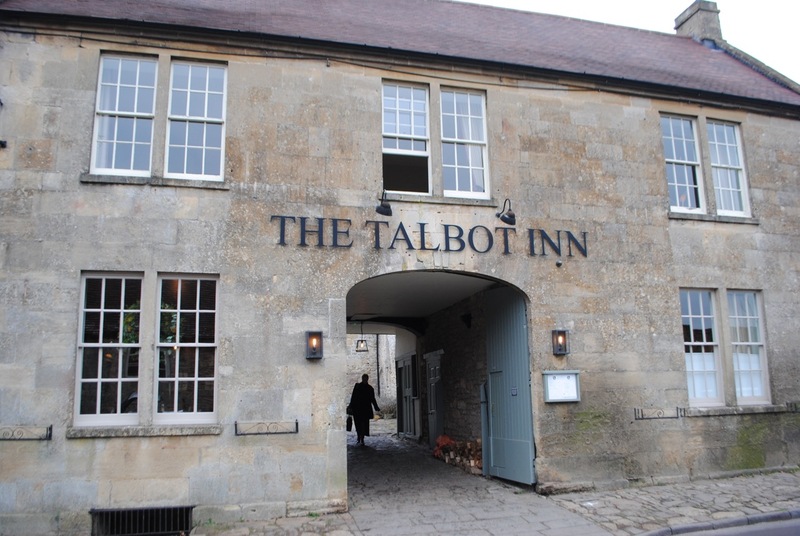 At the top of the high street stands the Talbot Inn, built in the 15th century to serve travellers on the London to Wells coach route. It is not too fanciful to imagine the Horner’s friends – the likes of Lutyens, Gill, William Nicholson, Siegfried Sassoon, Hilaire Belloc, Evelyn Waugh, and Ronald Knox (well, perhaps not Waugh) – supping ale in here. 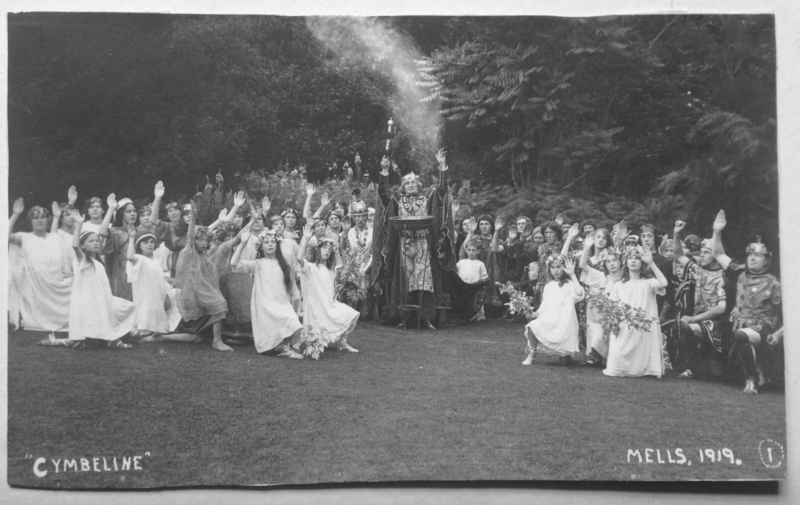 Some of them no doubt were roped in by Lady Frances for the annual Mells theatricals performed on the Rectory lawn, in which the whole village took part. The performance in 1914, the last until the war was over, was The Merry Wives of Windsor. One of the most enthusiastic participants in these amateur dramatics was Arthur Long, a builder and decorator who worked on the Horner estate. Long was killed at Ypres in 1915. Performances resumed in 1919 with Cymbeline. New Street, the straightest street in Mells, runs down the side of the Talbot Inn, leading to St Andrew’s Church (and was ‘new’ about 550 years ago). 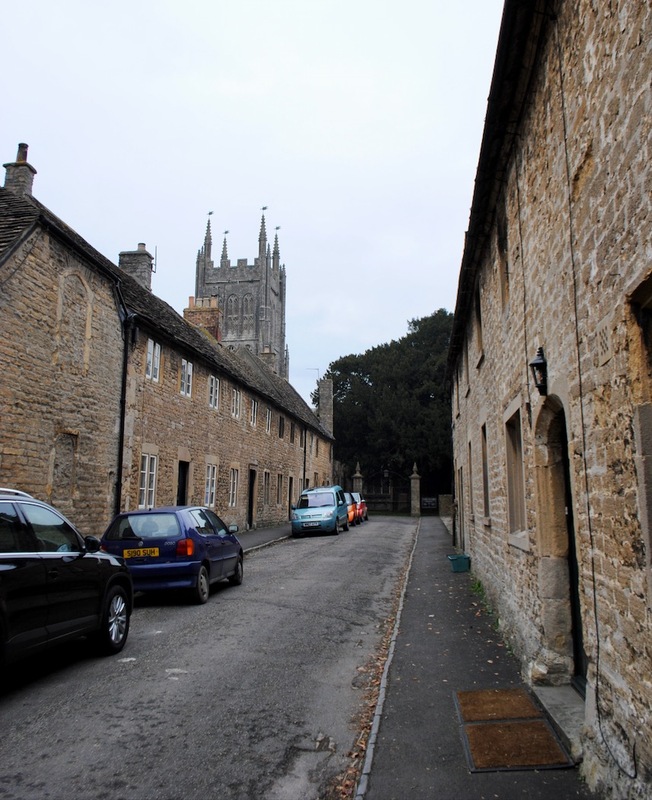 It was built under the direction of another Abbot of Glastonbury, John Selwood, and was intended as one of four streets based on the Roman grid form. The plan was never fully realised and the rest of the village is testament to the crooked ways of the Anglo-Saxons. The Church of St Andrew dates from the 15th century and replaced a Norman church on the site. Nikolaus Pevsner, writing in the North Somerset and Bristol volume of the Buildings of England, says that ‘The group of church and manor-house is among the happiest in Somerset’. (The manor house, on the other side of the churchyard wall, is not open to the public). 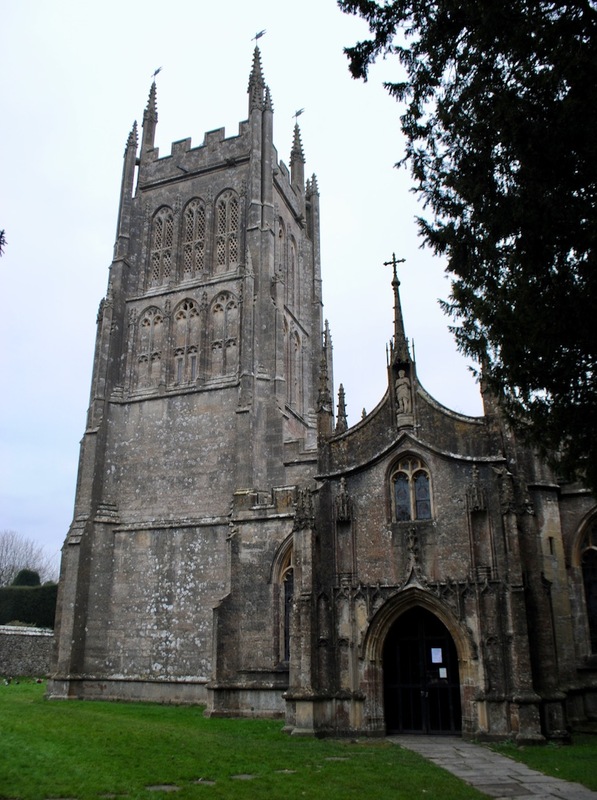 St Andrew’s is a real gem, one of those unexpected masterpieces, with an unknown architect-builder, but presumably constructed under the direction of another Glastonbury abbot. 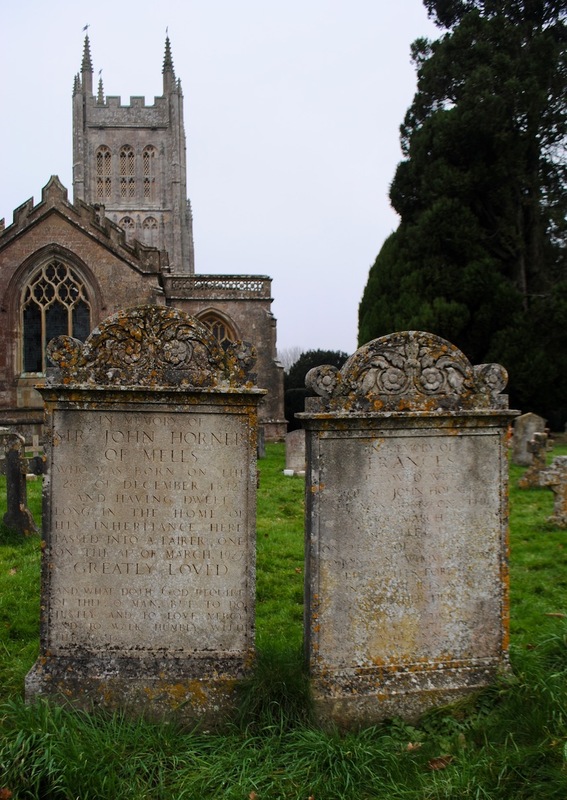 The churchyard contains the graves of Sir John and Lady Francis, Siegfried Sassoon, Ronald Knox, and other members of the Horner and Asquith families. Mells on that cold, solitary day seemed overwhelmingly loss-laden and grief-garlanded. No doubt on a warm spring day, with the birds singing and punters in the pub courtyard, it would become once again an English idyll. 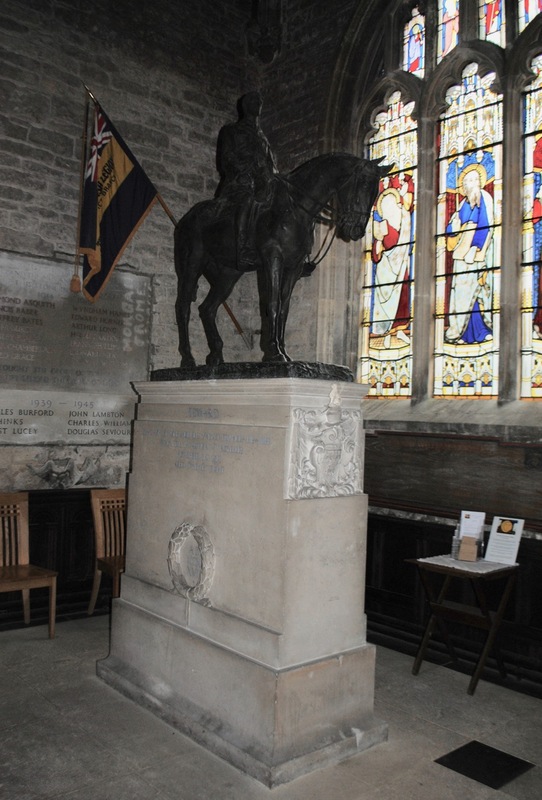 Every town and village in Britain has its war memorial; Mells, more than any other place I’ve visited, brings the losses of those generations into sharp focus. The Great War destroyed lives and families; it also destroyed the Edwardian Eden of artistic coteries and manor-house patronage, a world that provokes nostalgia even in those who never experienced it. After the death of her husband in 1927, Lady Frances continued to live at the Mells manor house with her daughter, the widowed Katharine Asquith and her children. She died in 1940, just as another Great War was getting under way.